A sweet morning image to wish your love with red roses. Roses are sweet as love. Throughout the centuries, people symbolically uses red roses to pour their purest form of love. 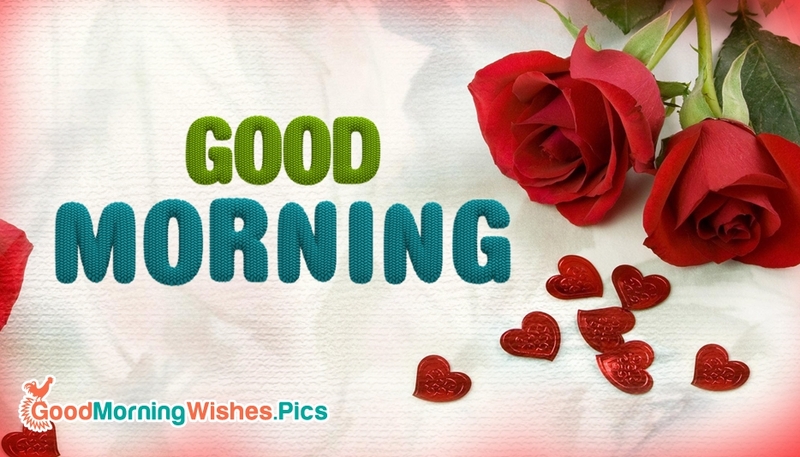 You can use this Good morning images through any social networking sites like whatsapp and facebook to wish your girlfriend/boyfriend, lover and husband/wife to share your love and make their day great!